It’s not a real Cannes Lions festival without a little scandal. And Marcel can’t take all the glory, can he?? This year did, in fact, see another controversy develop as the festival approached its last day and the “Network of the Year” competition came down to a nail-biter between last year’s finalists, BBDO and Ogilvy. Many thought that Clemenger BBDO of Australia had a strong contender in the the Titanium category, which celebrates “game-changers” that have “[broken] new ground in branded communications,” in the form of “Meet Graham.” The project, created for Transport Accident Commission of Victoria last year, stems from a basic idea: “designing” a human who can survive car crashes. But the work was ultimately dismissed by both the Titanium and Integrated juries, which cited its similarity to this 1985 anti-smoking spot by agency FCO according to “a spokesman for the juries” cited in a Campaign report yesterday. FWIW, this is the first time we have ever come across an unnamed representative speaking on behalf of two specific Cannes juries. Clemenger BBDO Melbourne has built its reputation on originality. We are incredibly proud of that promise. How others judge it, and their motives for doing so, we do not know, nor is it any of our business. The “Meet Graham” project was created to solve one of our client’s greatest problems. Every stage of our process, from the very initial strategy and brief, was based on a unique understanding of road safety data and the physics of road accident trauma. The problem itself identified the creative outcome. 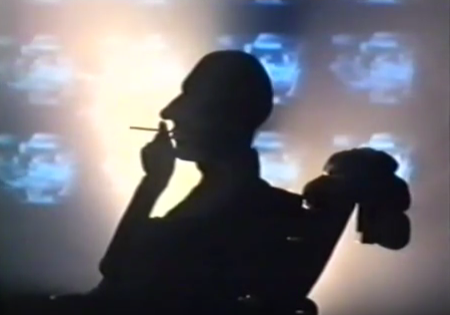 The smoking ad referred to is a 32 years old TV spot. It was absolutely not the inspiration for the sculpture/tech based idea developed for our client. We’d never even heard of it. We were greatly disappointed and surprised to learn that “Meet Graham” had been rejected from the Integrated and Titanium categories. The implication that it had drawn inspiration from a UK TV ad from over 30 years ago—aside from being preposterous—was raised and addressed at the beginning of the festival. The work then went on to be judged favorably by other juries, just as it has been judged in other award shows such as D&AD (in which Clemenger BBDO received a Black Pencil for it and was named Agency of the Year). As Lubars noted, it’s not clear why some unnamed members of the jury brought this matter up at the literal last minute. And now we’re hearing a slightly different spin behind why the work got dismissed. One Titanium juror told us that seeing “Natural Born Smoker” made it hard for the jury to recognize “Meet Graham” with the Titanium award, which is designed to recognize new ways forward. No one was suggesting Clemenger BBDO knew about “Natural Born Smoker” while making “Graham,” this juror added. Rather, it was simply hard to give a Titanium Lion to work that had strong echoes of the past. The spokesperson cited in Campaign’s earlier report did not make that distinction. On the Carlton terrace Saturday night after the news broke, several Australian friends of Clemenger BBDO were angry about the “Graham” snub. They floated conspiracy theories about why certain jury members might have ulterior motives in killing the piece. We reached out to a spokesperson for the agency, but it seems at this time that BBDO will not elaborate beyond the statements above. And despite all this noise, the Omnicom company still won network of the year with Clemenger BBDO taking agency of the year. We look forward to next year’s controversy.